I received these for Valentine’s day but have not had the time to post about them yet but the perfect way to my heart is food and if you mix this with roses you have a winner. 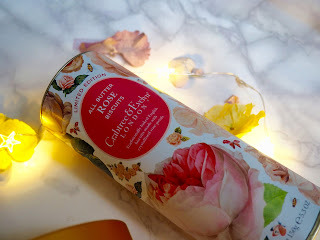 These allbutter rose biscuits are just delicious you can see crystallised rose petals pouring through with a delicate rose flavour and beautiful packaging. 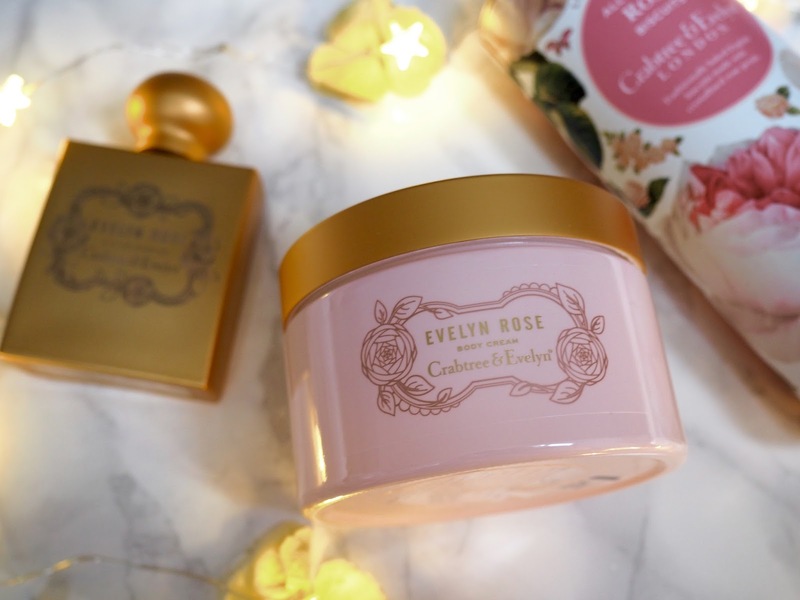 Also I need to do a shout out about the new Evelyn Rose EDP the velvety rose scent is just amazing. The fragrance features soft heart notes with hints of peach, nectar, citrus and amber creating a sensual scent. The bottle is pretty beautiful as well!! 50ml, £45. This scent is also enriched in the Evelyn Rose Body Cream for a heavenly experience. The Evelyn Rose Body Cream is £30. The other week I headed down to Maître Choux which is based in South Kensington after hearing about the best Éclairs and Choux pastries in town. Look how pretty they look, each one looks like it took hours to make with love poured in. I want more now! As you might know I have been on a health kick since January and this week Mini Babybel Light has been my snack of choice, I have been really missing cheese but these little babies are only 42 calories per Babybel and they are delicious. Stacey Solomon has also been getting involved with this campaign encouraging people to be healthier by getting London commuters on pogo sticks to get to work. Why not try them this week to lighten up your lunch?! I am in love with the SS16 collection from River Island it’s got me really excited to see the other collections from London Fashion Week. The new collection is full of swede, floral prints and cute waistcoats. This SS16 beauties are going to be a winner for sure…what should I buy first?!? I headed to the Creme Egg Cafe this week and it was glorious. Humour around every corner in true Creme egg style including a ball pit which I jumped right in. 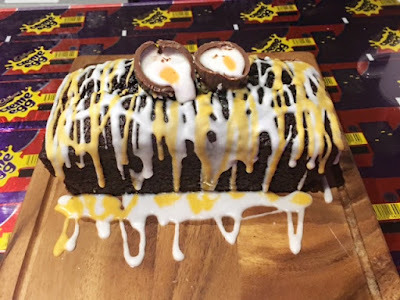 On the menu there are Creme Egg toasties and as a special treat I got to taste some special recipes created by Great British Bake Off star Martha Collison including Creme Egg Rocky Road and Creme Egg Caramel Squares. Keep an eye out for my take on the Rocky Road bars shortly!